An environment of support, dedication, and shared values. If you’re determined to excel, we have a place for you. Build a Real Career with Us. Everything we do, from our comprehensive benefits to our networking activities, is thoughtfully designed for the growth and benefit of our employees and ultimately our clients. As an Am Law 200 firm, we are large enough to offer challenging and meaningful work, while maintaining a just-right size that fosters a collegial and collaborative culture. If you’re determined to excel, we have a place for you. As a Firm, our reputation lies in building lasting relationships and delivering value for our clients and our people. Our deep experience and collaborative culture enable our attorneys to be efficient, effective and successful. Partner-level attorneys are critical to the achievement of each of these goals. We reward performance and support all of our partners by investing in state-of-the-art technology, marketing and business development resources, and delivering operational excellence. Our lawyers have been recognized for their excellence by Chambers®, Martindale-Hubbell®, and Best Lawyers® — ‌while also devoting themselves to public service and pro bono work. We are committed to a culture of respect and collaboration. We work hard to build a diverse, inclusive and welcoming work environment. And we promote leadership opportunities for our partners, both within the firm and in the communities we serve. We welcome the opportunity to speak with partner-level candidates interested in joining our Firm. To learn more, please contact Lateral Hiring Partner, Todd M. Gleason. 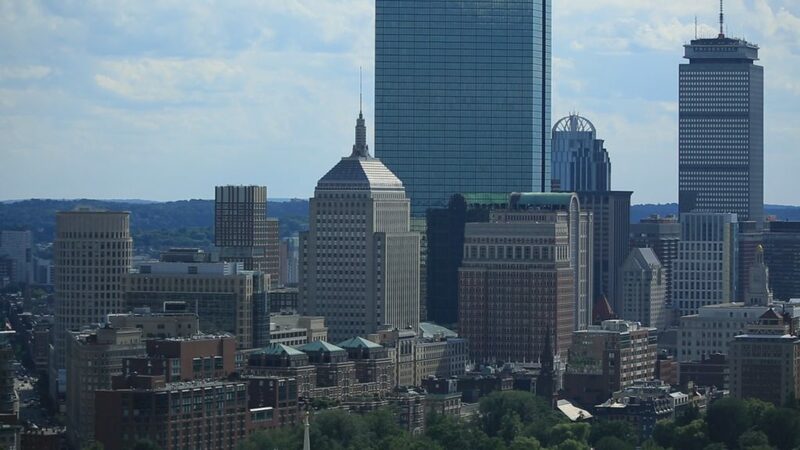 Seeking a Public Finance associate with three (3) to five (5)+ years of experience to work in our Boston, Providence, Manchester (NH) or Hartford offices. The ideal candidate will have experience representing bondholders, borrowers, underwriters, commercial banks, issuer authorities, purchasers and/or corporate trustees in a variety of public finance transactions. The candidate should also have substantial experience with drafting legal documents for tax-exempt bond transactions and with organizing closings of those transactions. Experience with tax-exempt bond financings for governmental entities, section 501(c)(3) organizations and for-profit companies, as well as familiarity with the federal tax law provisions that pertain to the issuance of tax-exempt bonds is preferred. The position offers an excellent opportunity to assume significant responsibility and hands-on experience in an active, collaborative, sophisticated and team-oriented public finance practice. Candidates must possess superior research, analytical and writing skills. Must also be highly motivated and have the ability to work both independently and as part of a larger team. Seeking a Mid-Level Associate with an interest in joining a dynamic and sophisticated Environmental and Energy practice. The ideal candidate will have three (3) to seven (7) years of experience representing a range of clients in complex environmental and energy matters, including litigation disputes, permitting projects, counseling and representation in pre-litigation, compliance, administrative enforcement, and real estate/diligence matters. Experience advising clients on energy regulatory and transactional matters, securing siting and permit approvals for energy projects and appearing before state public utility commissions is a plus. Admission to Massachusetts Bar and/or Rhode Island Bar is required. The position offers an excellent opportunity to work in a collaborative, team-oriented and sophisticated work environment. Candidates must possess excellent oral and written communication skills, and a desire to develop practice through creative and innovative marketing initiatives. Seeking a Mid-Level Litigation Associate with an interest in joining a dynamic and sophisticated litigation practice. The ideal candidate will have three (3) to five (5) years of experience representing a range of clients in complex corporate and commercial disputes. Candidate should also have experience managing cases, conducting depositions and assisting with trial preparation. Admission to New Hampshire Bar is required. The position offers an excellent opportunity to assume significant responsibility and hands-on experience in a collaborative and team-oriented work environment. Must have superior writing and oral communication skills, along with an excellent academic record. Must also be highly motivated and have the ability to work both independently and as part of a larger team. Seeking a candidate with four (4) to six (6)+ years of commercial real estate experience for our Providence office. The ideal candidate will have experience with acquisitions and dispositions, office and retail leasing, and land use. Candidates should also have experience handling closings, title, survey, and other real estate due diligence projects, as well as drafting and negotiating real estate transaction documents. Real estate finance experience is a plus. Admission to Rhode Island Bar is required. The position offers an excellent opportunity to assume significant responsibility and hands-on experience in a collaborative, sophisticated and team-oriented work environment. Candidates must possess superior analytical and communication skills. Must also be highly motivated and have the ability to work both independently and as part of a larger team. Preparation of estate, gift, and income tax returns. There will be substantial client contact as well as interaction with the department’s attorneys. The position offers an excellent opportunity to assume significant responsibility and hands-on experience in a collaborative, sophisticated and team-oriented work environment. Candidates must have excellent oral and written communication, computer (including Microsoft Word and Excel), problem solving, multitasking, and organizational skills. Must also be highly motivated and have the ability to work both independently and as part of a larger team. Thank you for your interest. There are no open positions available at this time, but please return to see our future opportunities. 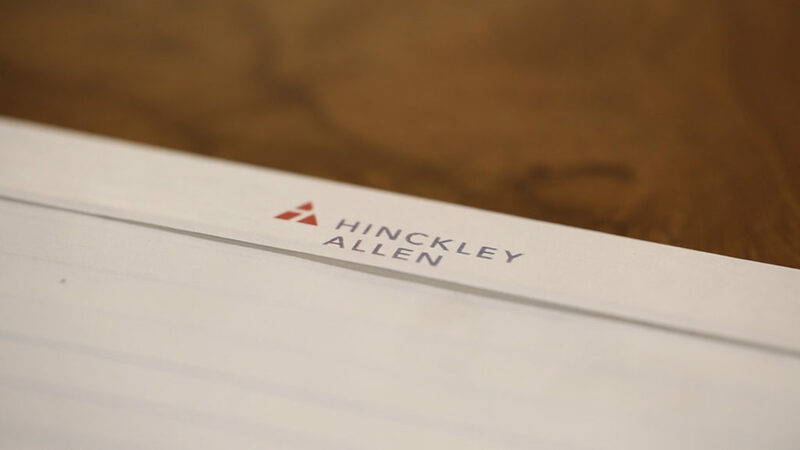 Our Summer Associate Program at Hinckley Allen gives participants a realistic sense of the demands, challenges, and rewards of a position within our firm. Participants gain hands-on experience—through varied work assignments—in each of our primary practice areas. Both Associate- and Partner-level mentors guide the program. Additionally, there are plenty of opportunities to get to know our attorneys outside of the office through organized sporting events, dinners, community-focused projects, and more. Work Assignments: Summer Associates receive diverse and challenging assignments, and work alongside Partners and more Senior Associates. For example, assignments can range from a simple litigation research memorandum to assisting a Partner at a complex real estate closing. We also provide the Summer Associates a chance to get involved with out-of-office experiences, including board meetings, depositions, arbitrations, client meetings, and judicial proceedings. Work is assigned to a Summer Associate based on, among other things, availability and practice areas of interest. Ultimately, the goal is to give each Summer Associate the opportunity to work in as many different areas of practice as possible throughout their summer. Moreover, each office has a designated assignment coordinator who coordinates projects for Summer Associates. In short, our goal is to provide Summer Associates with real work similar in complexity to what they would receive as a first or second year associate. Practice Group Assignments: Summer Associates are not assigned to a specific department during the Summer Program. Summer Associates can express a preference to receive assignments from particular practice areas. Although we make every effort to accommodate their interests, we encourage Summer Associates to work on substantive projects from a variety of practice areas during the summer. Our goal is to offer intellectually stimulating projects that give Summer Associates an opportunity to demonstrate their writing, analytical, and advocacy skills, while working alongside Partners and Associates who are deeply invested in their success at the firm. Training: Because of the small size of our summer class, and the firm’s lean approach to staffing, our Summer Associates truly learn by doing, including joining our attorneys for meetings, negotiations, closings, depositions and court appearances. In addition to a wide variety of assignments that provide invaluable “on-the-ground” training, our Summer Associates are provided with numerous educational opportunities throughout the Summer Program. Trainings are focused on such topics as legal writing, skills development, law firm economics, project management and tips for how to succeed as an Associate at Hinckley Allen. Mentoring: Each Summer Associate is assigned three mentors, typically one Associate and two Partner co-mentors, from a range of practice areas, including the practice area where the Summer Associate has the strongest interest. The mentors assist the Summer Associates in any aspect of the Summer Associate program, as well as familiarize them with the firm’s policies, practices and procedures. In addition, the mentors may provide evaluations and feedback to the Summer Associates on their work product. Social Events: The Summer Program is structured to give our Summer Associates a balance between work and social gatherings. A variety of social events are planned throughout the summer that provide summer associates with the opportunity to get to know our attorneys away from the office. The firm is committed to diversity and inclusion. In addition to our general application, Hinckley Allen offers scholarships to diverse second-year and first-year law students. Scholarship recipients become part of the salaried 10-week summer program. The scholarship for a second-year student is $10,000. The scholarship for a first-year student is $5,000. Eligibility – Law student at an ABA-accredited U.S. law school, strong record of academics, leadership, and a demonstrated commitment to diversity. Application– Resume, transcript, writing sample, and a personal statement that reflects life experiences and how you will contribute to the diversity of the firm and the legal profession generally. We accept diversity scholarship applications from second-year law students on a rolling basis. First-year law students can apply no earlier than December 1st of their first semester, until mid-January. You can follow Hinckley Allen on LinkedIn and Twitter or check back to our website for the latest updates. Selection Process – Applications will be reviewed and selected by a group of attorneys and management personnel. First-year law students are invited to apply to our 1L Diversity Scholarship starting on December 1, 2018. The deadline for applying is January 15, 2019. Take your career as far as you like with the support of our professional development team. We dedicate significant time and resources to developing and supporting our attorneys with practical, hands-on experience, and mentorship. Attorneys receive a formal evaluation at least once a year. Where appropriate, the firm may also conduct evaluations more frequently; the scope of the interim evaluations may vary depending on the circumstances. We also strongly encourage informal, real-time feedback at all times, in particular during and after individual assignments throughout the year. A vital component of the annual evaluation process is the self-evaluation. A self-evaluation serves as an important vehicle to highlight accomplishments, contributions, and outline professional goals for the upcoming year. The firm is committed to the professional development of its Associates. Accordingly, it offers a wide variety of formal training programs to supplement Associates’ on-the-job experiences. The firm is also qualified to provide continuing legal education (“CLE”) credit and hosts programs throughout the year. Many of the firm’s in-house CLE programs are open to clients. In addition, we offer training programs designed to strengthen our associates’ business acumen on topics such as budgeting, billing, profitability, and legal project management. External training programs are encouraged as well. The firm maintains a membership with Practicing Law Institute (PLI), which is a leading CLE provider. PLI offers unlimited access to live programs, webinars, and audio briefings on a wide variety of topics. The library issues each associate login credentials to access the PLI website. Attorneys may also attend outside training or CLE programs, bar association activities, and professional conferences. Mentoring is a fundamental part of your professional development at Hinckley Allen. We offer the resources you need to meet your professional goals and achieve success by providing every attorney a mentor or partner advisor. Our goal is to work with you to develop the knowledge, skills, and experience necessary to become a top-notch lawyer. We want to make sure all of our attorneys are integrated and well-oriented to our firm culture and work environment, and we do that by creating an atmosphere that attracts and retains the most talented lawyers. Our mentoring program focuses on training programs inside and outside the firm, hands-on learning, and individualized support and guidance. Whether it’s discussing your career goals or strengthening your working relationships, we are here to provide you the ongoing support critical to your success. Hinckley Allen is pleased to provide competitive compensation and benefits packages to our partners, employees, and their families. Designed to support you through the many stages of your life, the benefits program provides you with the resources and support that you need, when you need it. “This is a place where people are respected, appreciated, and supported. Helping all our personnel be the best they can be is at the heart of everything we do, from mentorship, to our strong work-life balance, and to the community and pro-bono work we support." For attorneys at all levels, there's an opportunity to grow at Hinckley Allen. Hinckley Allen Managing Partner David J. Rubin and Deepwater Wind CEO Jeff Grybowski, and others describe how the firm provides value and delivers results by being adaptive, business-minded and responsive. In an industry that lags behind others when it comes to diversity and inclusion, Hinckley Allen is committed to advancing opportunities for legal professionals from different backgrounds, cultures and lifestyles. Please contact Todd M. Gleason to learn about partner opportunities and Megan A. McCormack for questions or general information about careers at Hinckley Allen.